As the Alps rise up from the Mediterranean Sea along one of the most famous coastlines in the world, they give birth to a special and luminous land where nature offers an incomparable variety of scenery and atmosphere for your pleasure… These are the Azure Alps. This holiday combines mountain meadows and forests, the majesty of treetops and picturesque perched villages, with the added bonus of a mirror of blue stretched out at your feet. Arrival in Menton, a famous seaside resort. 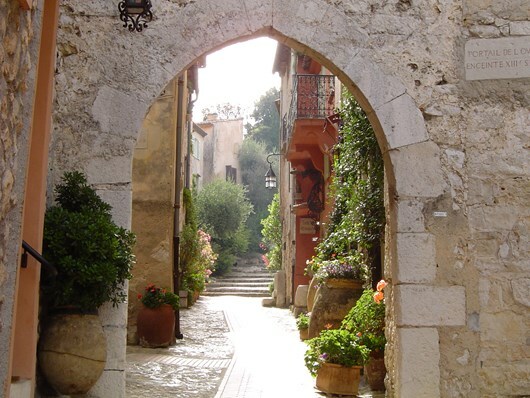 You’ll discover the Italian Border, Menton’s beautiful old town and its lovely gardens. Overnight stay and dinner in hotel. From Menton to Sainte-Agnès. High mountains rise up just behind Menton. 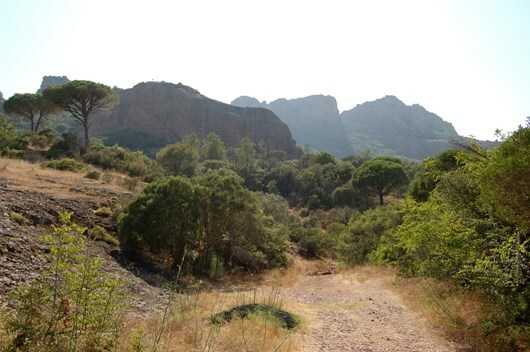 You’ll walk up there through picturesque villages such as Castellar and Sainte-Agnès. Beautiful scenery above the sea. Dinner and Overnight stay in a small inn looking out on to the bay of Menton. The top of the Mont Baudon (1,266 m). This summit will afford you an extraordinary 360° view of the mountains and the sea. Dinner and Overnight stay in the same inn in Ste-Agnès. Through an original combination of Mediterranean scents and Alpine flora, scrubland and pine forests, you’ll arrive at Gorbio, a perched village in the middle of greenery, and Roquebrune, another small village. Both are not too far from the coastline but are completely different from it! Dinner and Overnight stay in a hotel in Menton. Incredible views on the way today: nature and the skyscrapers of Monte Carlo. You’ll enjoy visiting the Principality of Monaco and discovering La Turbie, a medieval village. Train between Monaco and Beaulieu/Mer. Dinner and Overnight stay in a hotel in Beaulieu-sur-Mer. 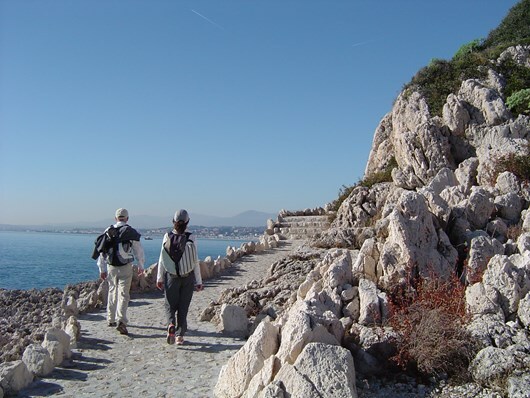 A marked path will guide you along the wild coastline of Saint-Jean-Cap-Ferrat. 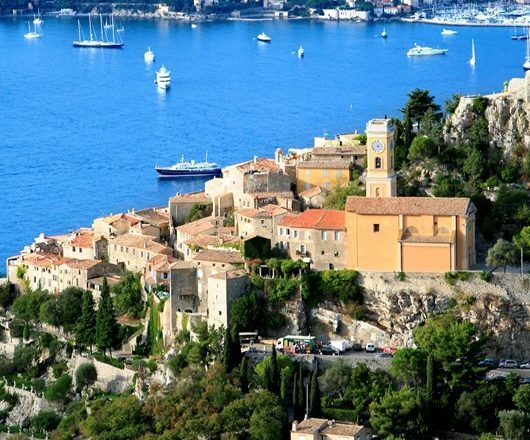 You’ll walk along the beach through Villefranche-sur-Mer and reach Nice via the foothills. Fantastic views in natural unspoilt surroundings. The hotel is in the town centre making it easy for you to enjoy visiting the town the following day. The tour ends just after breakfast. We suggest that you take your time to visit Nice: the old town, the flower market and the ‘Promenade des Anglais’.